Register for your complimentary email newsletter at www.aac-worldwide.com. Make use of AAC worldwide with a subscription, contribution of editorial and/or advertisement. Meet the team behind AAC worldwide in their booth at the 6thICAAC. 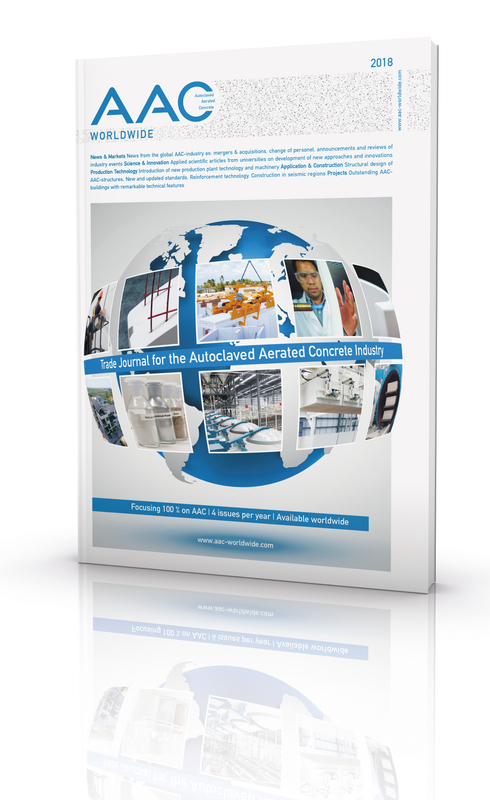 AAC worldwide will be published by ad-media GmbH, a privately owned publishing house headquartered in Cologne, Germany, with more than 20 years of experience publishing international trade journals for the buildings materials industry. 10 representatives on five continents create a unique network that will actively disseminate knowledge about AAC, its production and application globally. We are looking forward to meeting you in Potsdam!